The video offers a brief overview of the kinds of rites and practices Gaelic Polytheists can incorporate into their daily lives – and we want to stress that these are things that can be done, not that they have to be done. To go hand in hand with this new video, we’ve decided to update our Daily Rites page here on the website. 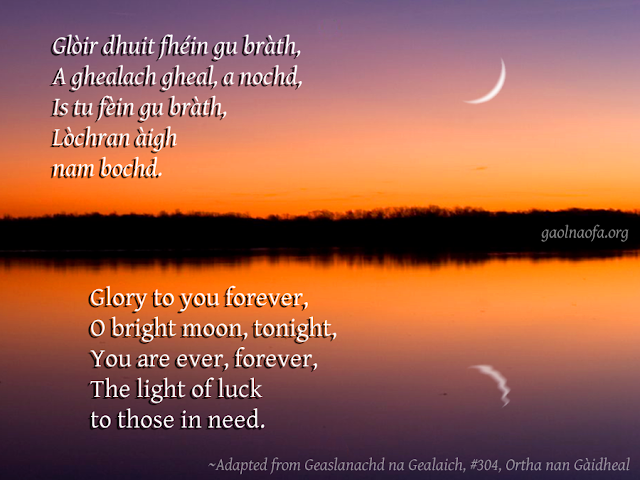 This new version has been substantially revised and updated by Kathryn Price NicDhàna, and the prayers we outline are now offered in both Gaelic and English. The prayers included in our updated article are completely different from the original article, which were written by Gaol Naofa’s founder Tomás Flannabhra; for those of you who would prefer to stick with them, we’ve moved the original version of the article to an archive page here. Whichever version of our Daily Rites article you prefer, we consider the video to be a companion piece to it. You might also find the Daily Practices section over on Tairis useful, along with our Offerings article and video, and our Children and Family in Gaelic Polytheism piece. As always we hope you enjoy the new video and article, and please feel free to share them wherever you like. Slàinte mhath! Those of you who follow us on social media may have seen the memes we’ve been creating. We’ve added a page to the site to archive the ones we’ve done so far, and where we’ll be posting more in the future: Gaol Naofa Memes. We’ve been working with a mixture of proverbs, prayers, triads, and quatrains from various Goidelic sources, doing our bit for language preservation and providing links for further info. For regular updates follow us at our Gaol Naofa Facebook page and Twitter account. Since our most recent video – A’ Ghealach Ùr (The New Moon) – which was released back in February, we’ve been working on a number of projects for the website and for future publication. 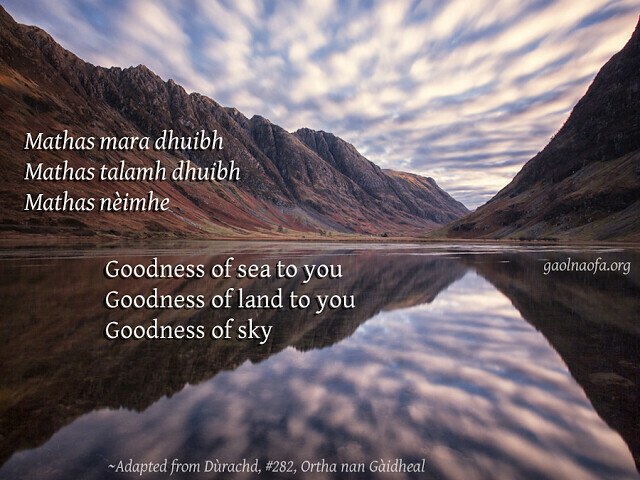 We’ve had such great feedback from the videos we’ve been doing for the Gaol Naofa Youtube channel, though, that we decided it was high time for another one, so we’ve taken a short break from things to put together our newest video, titled Offerings in Gaelic Polytheism. If you want to find out more about the subject then one of our earliest publications here on the Gaol Naofa website, Offerings in Gaelic Polytheism, is well worth a read. The article has been expanded and revised over the years, and you can also read up on the historical and archaeological evidence over on the Tairis site along with a breakdown of different types of offerings that can be made. The video includes a prayer from one of our publications last year, our article on Children and Family in Gaelic Polytheism, which gives a simple overview of how to get started (whether you have kids or not!). Wherever you are in the world, we believe it’s important that offerings should be made with respect to the local spirits. Offerings should not harm the environment or local wildlife, and we would urge careful consideration and contemplation about how your offering(s) may impact the local area. In recent times, this especially needs to be stressed when tying clooties or other things on trees. Although traditions evolve naturally over time, and the type of offerings that are being tied to trees are no exception, the increasingly common trend of tying non-biodegradable items (including, for some reason, things like iPhone cases and even nappies/diapers) tightly onto branches ends up stunting the tree’s growth or even killing them. The practice of leaving pennies or other coins worked into the tree trunks or natural cracks in stone is equally damaging. We believe that the Nature Spirits whom we honour will be better-disposed to you if you don’t harm their abodes and if the offering you make is truly something that honours, feeds, and beautifies the tree or sacred site instead of damaging it. Similarly, as much as we try to keep pets from getting at food offerings, there is always the risk of strays getting into them, and in many places wild animals commonly consume the offerings. Small amounts of human foods are usually not dangerous, but just to be on the safe side be aware of local wildlife, and familiarize yourself with what foods may be harmful if consumed by local animals. As always, we hope you find the video useful! 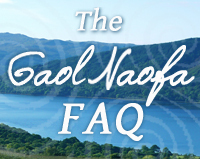 If there are any subjects you’d like us to cover in future, why not let us know on the Gaol Naofa Facebook page. Photo credit: John McSporran, used under Creative Commons Licence.